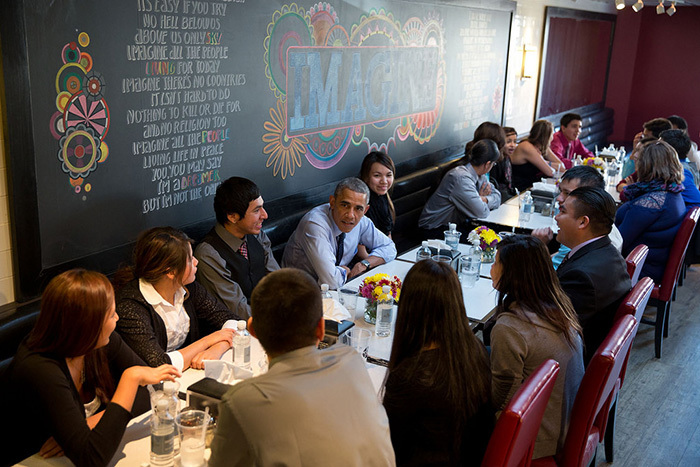 Read President Obama's remarks on the My Brother's Keeper initiative. 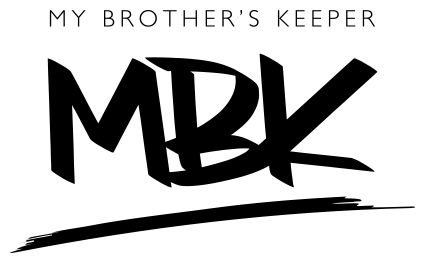 Since MBK’s first anniversary report a little more than one year ago, more than 50 additional communities have accepted the My Brother’s Keeper Community Challenge, including those in seven new states, independent private sector support for grants and in-kind resources has more than doubled to more than $600 million, and more than 80% of the recommendations the MBK Task Force sent to the President two years ago are complete or on track. This report tracks progress achieved in the past year on efforts to make a measurable difference in the lives of young people. Check out the slideshow to see the progress we've made. You don’t need to be an NBA star or the President of the United States to be someone’s hero. You have the power to change a young person’s life by becoming a mentor at Mentor.gov. "MBK is about obliterating the barriers our kids face. It’s about building strong, lasting bridges to opportunity for boys and girls, young men and young women, no matter what their background or the circumstances into which they were born. It’s about investing in what works, acting with a sense of urgency, basing strategies on data and evidence, and having the courage to call-out and tear down discrimination in every system and policy where it shows up. And, in two years we could not be more excited about the momentum, energy, and enthusiasm that has been sparked all across the country." 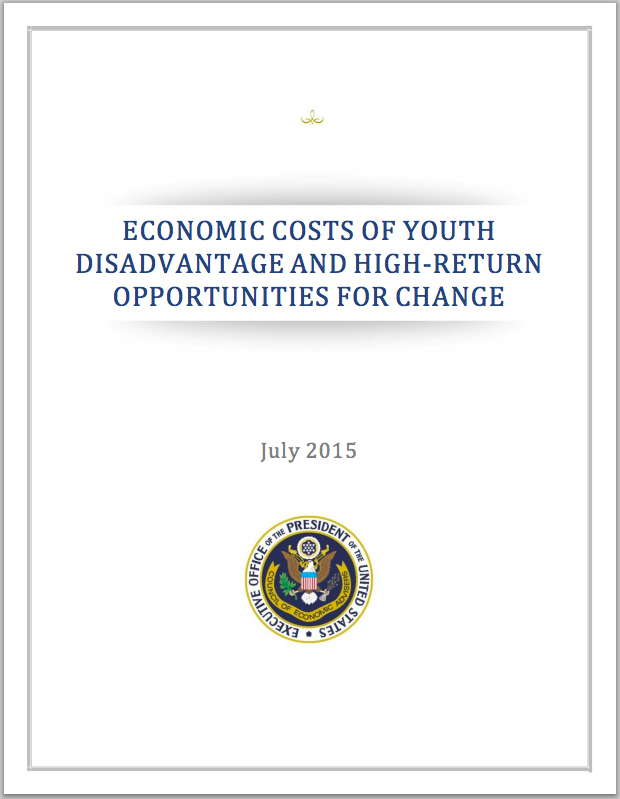 A report from the White House Council of Economic Advisers explores the barriers that disadvantaged youth face, particularly young men of color, and quantifies the enormous costs this poses to the U.S. economy. In particular, this report focuses on the significant disparities in education, exposure to the criminal justice system, and employment that persist between young men of color and other Americans. The report outlines why it's important for our nation — from business, faith, and civic leaders, to local law enforcement — to invest in the lives of our nation’s young people. In launching the My Brother’s Keeper initiative, the President and his entire Administration are doing just that. Learn more about the My Brother's Keeper initiative. 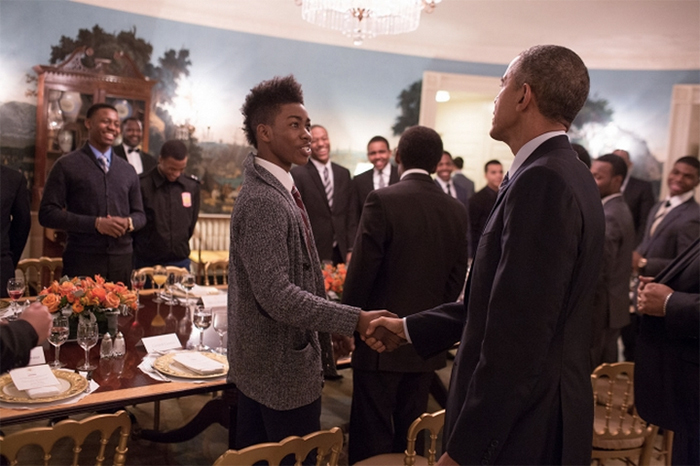 June 19, 2015: President Obama to Young Men of Color: "You Matter. You Count." At the Convening, representatives from communities across the country that accepted the Community Challenge, along with experts from the private and public sectors, discussed how we can make real progress to expand opportunity for all of our youth. Watch the opening remarks below, and get more details about the event here. The MBK Community Challenge encourages communities (cities, rural municipalities, and tribal nations) to implement a coherent cradle-to-college-and-career strategy for improving the life outcomes of all young people to ensure that they can reach their full potential, regardless of who they are, where they come from, or the circumstances into which they are born. Nearly 200 mayors, tribal leaders, and county executives across 43 states and the District of Columbia have accepted the MBK Community Challenge. Commit to making a difference by pledging to mentor a young person in your community. Webinar: Identifying and Contributing to "What Works"
Use this web button to link to us on your website and highlight My Brother’s Keeper. You may copy the image or the HTML code directly below to place a banner on your website. The My Brother’s Keeper Initiative logo may not be used to endorse any commercial product or service, nor may the logo be used in advertising or in any manner that could give rise to the appearance of endorsement. The My Brother’s Keeper Initiative logo may not be used in any matter that could give rise to the appearance that the U.S. Government owns, operates, or is affiliated with any nongovernmental entity or its programs, products or services. 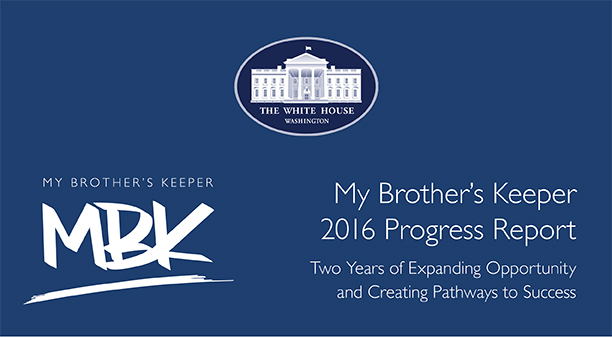 The My Brother’s Keeper Initiative logo may only be used in connection with distribution of information about the White House My Brother’s Keeper Initiative, as found on the My Brother’s Keeper Initiative website. Any other uses are unauthorized.